Does anyone else feel like time is getting away from them at the moment? In the past week I was meant to email two wedding suppliers, list a mass of items on ebay, reformat all my blog images for the new layout and write some new content for the blog. Do you know how much of that list I’ve actually got done? Nada, not one item has been ticked off my ever growing list. I feel like I need to add an extra day into my week just to get things done. On the bright side though, we’ve had a plumber out to look at our broken shower, began an epic clear out of the house and almost finished making my blog/study area under the stairs, so it’s not all bad. Anyway, some of you may remember way back before summer had even begun I was struggling to decide which of the stunning 18 and East dresses I should buy. If you haven’t seen that post you can check it out here. At the time I promised I’d do a post on which dress I chose, but as the one usually behind the camera come the end of Summer I still didn’t have any photos to share. 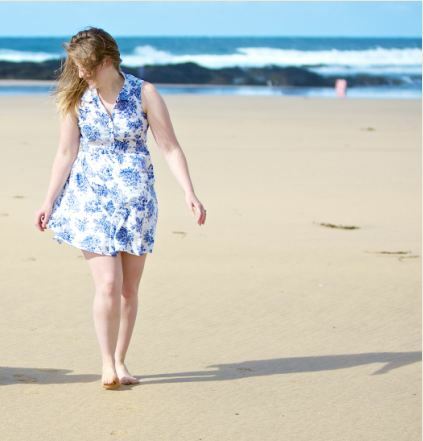 Thankfully that all changed when I donned my favourite dress for some pre-wedding photos whilst we were down in Cornwall. 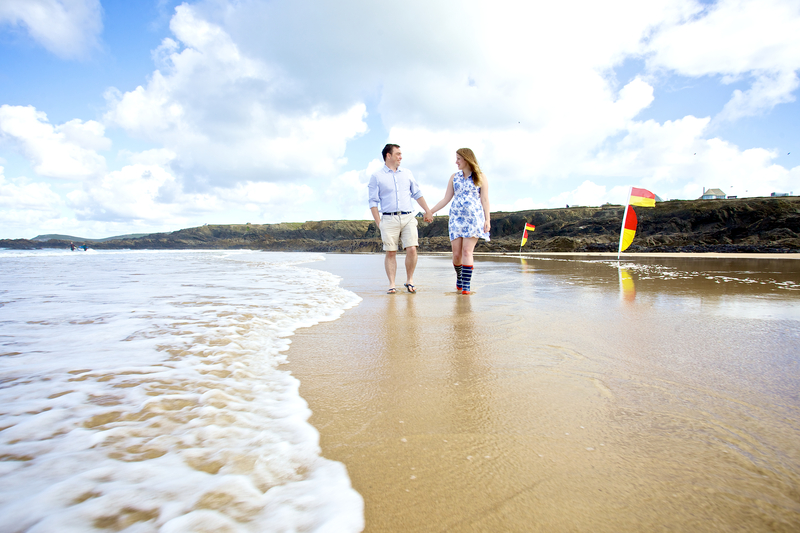 Here are a few sneaky snaps from our day at the beach. 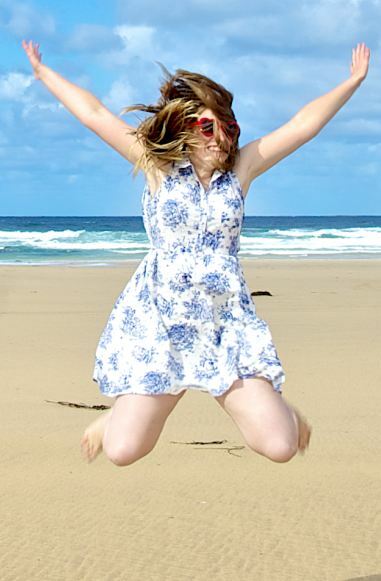 Cliché Cousin It jump pose! Thanks to Christian Michael who shot the photos for our pre-wedding shoot and managed to put us at ease despite my fear of posed photos. We had a fantastic day! Oh honey they are gorgeous – did have a chuckle at the last pic as your face looks terrified and it must of been a great deal of effort to jump like that lol! 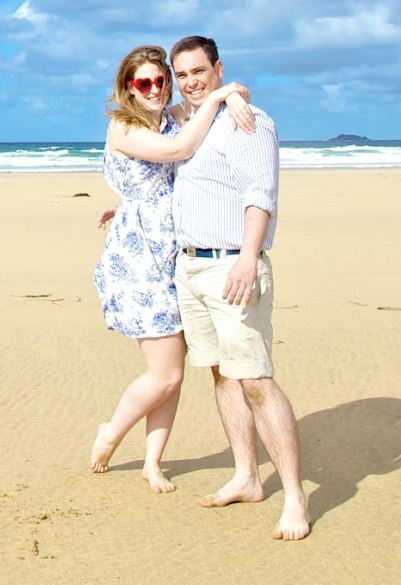 That day the weather was lovely and the dress looked gorgeous as did you both, a well captured photo to a lovely reminder of the beach you love, the day of your engagement, with the man you love – oh dear now I am all testy eyed – again! « Would you like to write a guest post for According to Gem?